Real estate agents, event videographers and photographers, news teams, and other professionals are taking their businesses to new heights thanks to new and affordable UAVs (unmanned aerial vehicles). 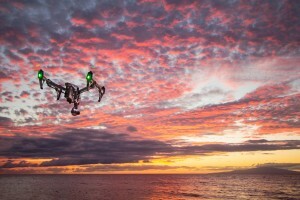 Many individuals are finding that drones provide them with an extra edge against their competitors, creating unique footage from a bird’s vantage point. Quadcopters and fixed-wing drones are quickly filling the air and sometimes problems arise that the owner and/or operator may be liable for. They need remote aerial photography insurance through Aviation Insurance Resources (AIR). Until recently, UAV owners and operators have been finding themselves lost between insurance needs and federal aviation regulations. A new insurance program customized with the drone user in mind has made the process that much easier. In fact, in just a few minutes you can request an UAV liability insurance quotation online! AIR has been monitoring the growth of the UAV market and keeps up to date with all the industry’s insurance needs, protecting your investment and business’s future. To learn more about unmanned aircraft insurance through AIR, please call us at 301-682-6200 or download our UAV and UAS application today! You can also follow us on Facebook, Twitter, LinkedIn, and Google+.